"I don't want special interest money--but damn!" 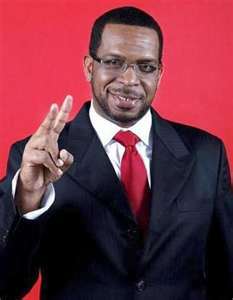 Hip Hop’s first uncle, Luther Campbell, may have put Miami Bass on the map, but he isn’t doing so well in his bid to become the city’s mayor. Luke, whose campaign slogan is “Are You Serious?” recently reported a war chest tally of only $250. Wonder if it’s all in singles? ﻿﻿﻿The tally is more than $150,000 behind the fourth-place candidate. He might do better leaving the posh Bay Village fundraisers alone, and work the crowds at Club Rolexx and Take One–the players might make it rain on him, for old time’s sake. K Hill – “The Declaration of an Independent” from Depth of Sound on Vimeo. DJ Quik is back and he’s got a little help from Ice Cube. While cruising the net I found 2 different versions of the song YOU decide which you like better. IMO: Where Does The Time Go?